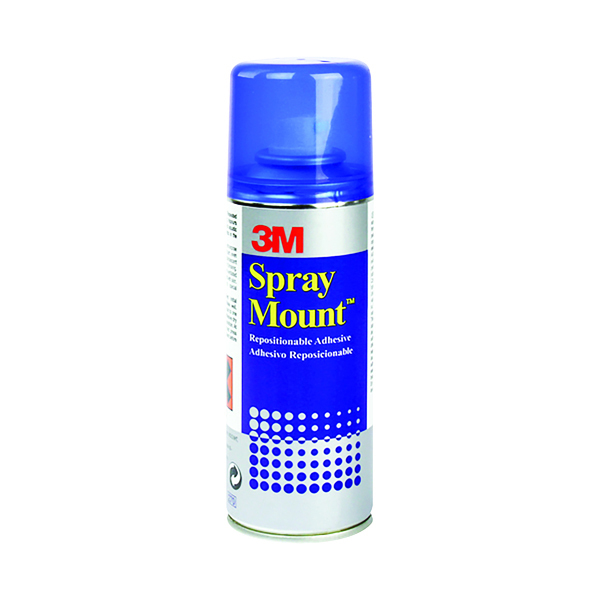 This 3M SprayMount Adhesive is great for mounting lightweight materials quickly and efficiently. The spray is transparent and non-staining when applied, and lets you temporarily reposition items after application. The controlled spray produces reduced adhesive mist for more comfortable usage. This pack contains one 200ml can.